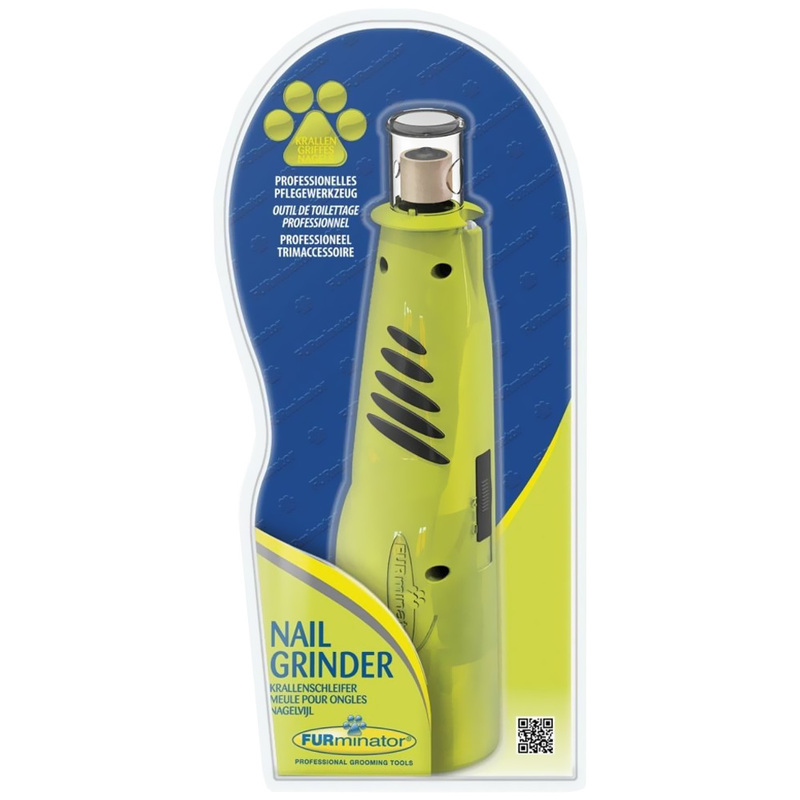 The FURminator® Nail Grinder is a hand-held tool that makes it easy to maintain well-manicured nails on your dog. This two-speed grinder is battery operated to make pet grooming easy. The grinder is made with antimicrobial plastic that minimizes germs and an easy grip surface to provide safe and sanitary grinding experience. The FURminator Nail Grinder is lightweight and compact to ensure it is easy to handle and includes two grinding bands to ensure that it lasts you and your pet for the foreseeable future. This grinder also features an LED light at its end to illuminate the nail for safer and easier trimming. Order this idyllic grooming tool to keep your pet's paws healthy today! Product Dimensions: 7¼" x 1¾" x 2".